Cycling is our passion and we do it since years. We are happy, if we can share our experiences and if you can profit from it. Relatively new are self supported ultra long distance cycling races. Long distance cycling, ultra long distance cyling, it’s probable more popular as ever. Race Across America is one of the most famous ultra long distance bike races. Self supported means: no support car, the cyclist is on his own, has to organize food for his own, has to fix a flat on the road without others help, has to carry what he needs, has to organize a room to stay without others help. You will know more about self supported races and bikepacking? Profit from our experience. Cycling on a roadbike over mountain passes, training in high altitude, preparing for a race or cycling on awesome roads just for fun, come and join us in our camps. Mountainbiking on single trails or challenging downhill trails, we show you an exciting terrain. Improving your technic on the bike, we show you how to ride the bike like a professional. 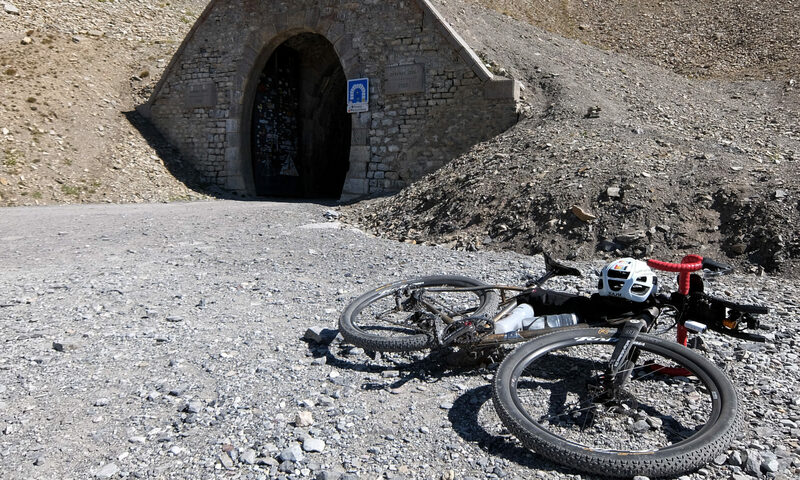 Riding a gravel bike in the alps on old military roads along the boarder. Have fun on the bike with us. Transbike organizes bicycle and mountain bike camps and hollidays for individuals and groups and adventure bike events.